5 YRS Nanning Yongte Electromechanical Equipment Co., Ltd.
2 YRS Xiamen FoYo Mechanical & Electrical Co., Ltd. 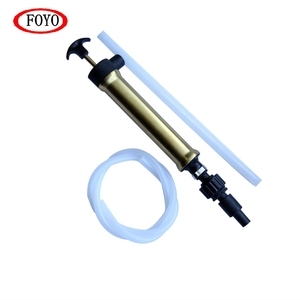 Application: Barrel Pump is a kind of portable pump, suitable for 200L or 220L standard barrels, with small size, and light weight. 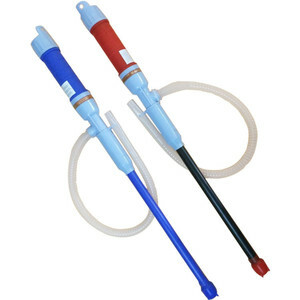 It is suitable for diesel oil, gasoline, engine oil, vegetable oil, milk, hydraulic oil, alcohol, acid and some other lubricative and corrosive liquid transfer. 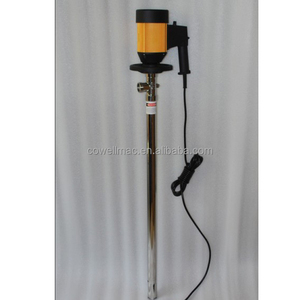 There are aluminum alloy or stainless steel pump tube, normal motor or ex-proof motor for option. 7 YRS Shanghai Allmarine Industry Co., Ltd.
,LTD is a professional marine tools supplier which seeks to provide high quality products at large range of marine electric/pneumatic tools. 1000 square meters of warehouse can ensure timely supply of customers at home and abroad. Q: How about the Delivery time 9 A: We have our warehouse and delivery time is 4-5 working days after payment . 2. It is widely used in oil drum carrier, oil refinery, electric power plant, substation and oil depot. 3. The gear pump by adopting cast iron material, pump can transport various oil, such as crude oil, diesel oil and lubricating oil . 4. By adopting stainless steel material, it works for medium like non-lubricating oil, beverage and corrosive liquid. 1 YRS JiangSu JOBA Mechanical Manufacture Co., Ltd.
1 YRS Nanjing Seirna Machinery & Electronic Co., Ltd. Fits most standard water bottle sizes. Fits most standard water bottle sizes. Lightweight and compact, easy to carry. 6 YRS Harbin CMEG Imp&Exp Co., Ltd.
6 YRS Permco (Tianjin) Hydraulic Inc., Ltd. The application is wide, such as vacuum refrigeration, refrigerant recovery device, tea packaging, air conditioner, automobile reparation, medical research equipment, scientific research, semi-conductor and etc. Q3: How long will the delivery time 9 A: Usually one month by sea after order,but also delivery time according to the distance. Q4: How much discount can you offer9 A: We will do our best to offer the competitive price,usually the discount depends on th quantity. 2 YRS Huaian Junbao Hydraulic Machinery Co., Ltd.
10 YRS Ningbo Runda Machinery Co., Ltd.
3 YRS Ningbo Marshine Power Technology Co., Ltd.
5 YRS Botou Jinhai Pump Manufacture Co., Ltd.
2 YRS Xuzhou Dazheng Engineering Machinery Co., Ltd.
Alibaba.com offers 10,473 hand oil pump products. About 58% of these are pumps, 8% are bottles. 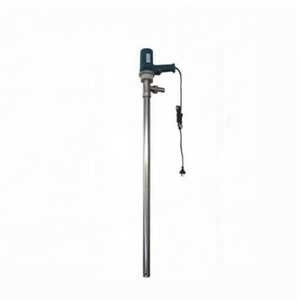 A wide variety of hand oil pump options are available to you, such as cryogenic, metering. You can also choose from electric, pneumatic, and hydraulic. As well as from high pressure, low pressure. 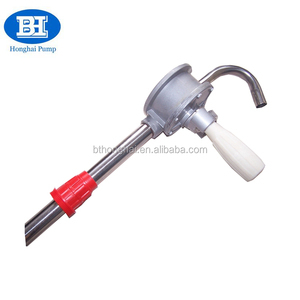 And whether hand oil pump is piston pump, single-stage pump, or gear pump. 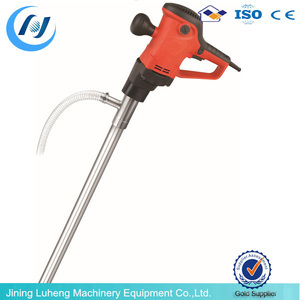 There are 10,473 hand oil pump suppliers, mainly located in Asia. 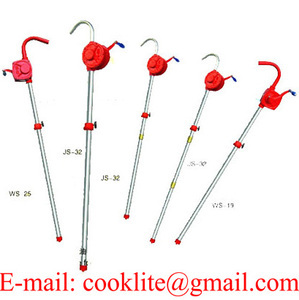 The top supplying country is China (Mainland), which supply 100% of hand oil pump respectively. 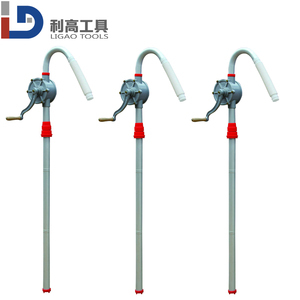 Hand oil pump products are most popular in North America, Domestic Market, and Southeast Asia. You can ensure product safety by selecting from certified suppliers, including 3,937 with ISO9001, 1,286 with Other, and 379 with ISO14001 certification.